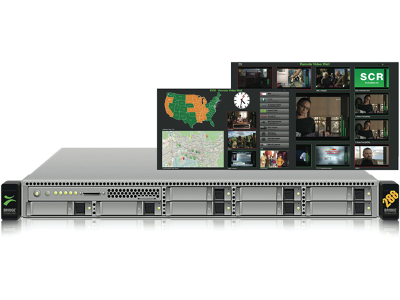 The VB288 performs objective video and audio monitoring of MPEG-2, h.264/MPEG-4 and h.265/HEVC streams and offers a unique web browser based remote video-wall capability providing full visual status from anywhere. The VB288 enables operators to inspect massive amounts of content services beyond human eyeball capability with dependable alarming on objective parametes having QoE impact. In addition to provide automated Objective QoE of large amounts of services, the VB288 CONTENT EXTRACTOR offers thumbnail and metadata extraction and alarming for up to 100 TV multicast streams concurrently. The VB288 CONTENT EXTRACTOR with its RVW (Remote Video Wall) capability is ideal for visual at-a-glance monitoring in the NOC, VOC, head-end or remotely via any standard web browser.